Safety : All transactions above a value desired are intimated to you as and when they happen, so you are always kept updated on your transactions. To register, call our 24X7 Call Center or contact Branch. Please keep your Account Number or Debit Card number readily available when calling us. 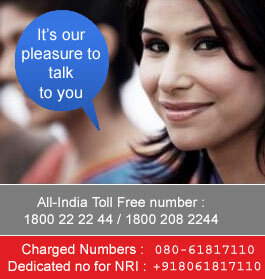 Customers can get their primary account balance by giving Missed call to 09223008586. 1. Who can avail this facility? All customers of Bank having Savings & Current A/c may avail this facility. 2. How do I register for the facility? Presently, the registration is available on filling up a form and its submission at your branch. The form is available on our website, at branches and also ATM outlets. 3. Can I have more than 2 accounts linked for the facility? 4. For alerts on loans and deposits, do I have to register these accounts? No. The customer ID related to your primary account will have loans and deposit accounts linked to it. You will get alerts linked to all such accounts. 5. 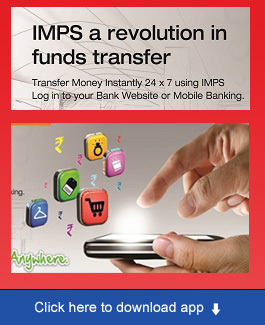 What is the benefit to me from SMS Banking? You get alerts on transactions at branch, through ATM/Online portals/ Point of Sale (PoS) machines or e-banking immediately as they happens. This enables you to know about any unauthorized transaction to your account. Besides, you can also pull balances, mini statement, block ATM card, Locate Branch/ATM and cheque status any time you want. 6. Can I use my existing mobile phone to receive alert messages? 7. Do I incur any expenditure when I do a balance/transaction /cheque status enquiry? Yes. The normal tariffs of mobile service operators apply to you when you do a pull transaction. 8. Are there any charges from Bank? 9. Can I change my mobile Number and still continue to avail the service? Yes, You have to inform the new mobile Number to your branch. 10. What if my account is a Joint account? 11. Can I terminate this service?